In the previous section, we processed events related to command buttons and check buttons. Next, let’s consider events that are not related to controls. 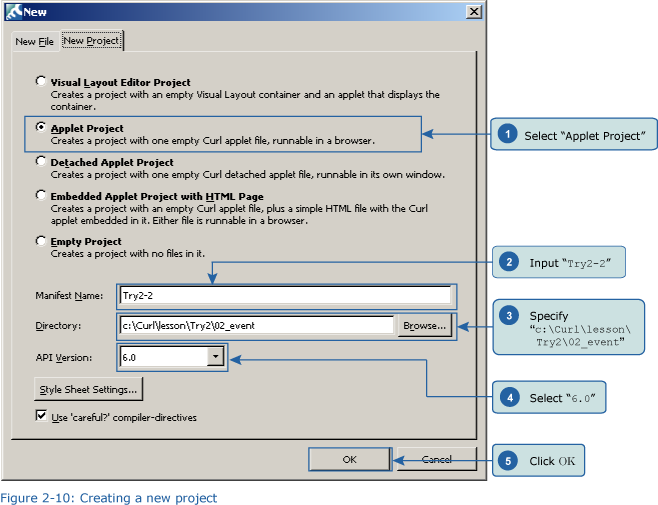 Close the Try 2-1 project and then, from the IDE “File” menu, select “New Project.” In the "New Project" dialog box, select "Applet Project" (1), input "Try2-2" (2), specify c:\Curl\lesson\Try2\02_event in the “Directory” field (3), set the "API Version" to "6.0" (4), and then click "OK" (5). Next, we’ll input the following program code. Or, if you prefer, you can copy the program from c:\Curl\Try2\02_event\start.curl and then paste it into the editor. After inputting the code, save the file, and then execute the program. 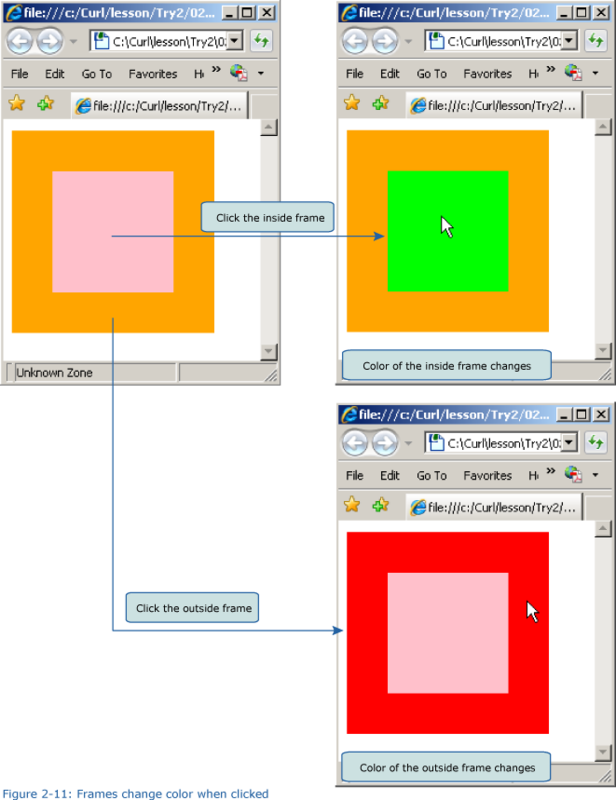 As a result, your browser will display an orange-colored Frame, inside of which is a pink Frame. If we click the inside Frame, its color changes from pink to lime-green. And, if we click the outside Frame, it changes from orange to red.